SEVENTY FIVE THOUSAND homes are waking up to no electricity this morning. ESB says its network crews are out trying to restore power to those homes across the country. Crews were working until late last night to try and minimise the number of people without power overnight. Since Wednesday afternoon, power has been restored to over 185,000 customers, out of a total of 260,000 without supply. At one stage yesterday, a quarter of a million people were without power. There are around 2,000 locations around the country where timber has to be cleared from power lines. All available resources have been deployed to restore power to customers as quickly as possible, however we cannot guarantee at this stage when customers will have their power restored. 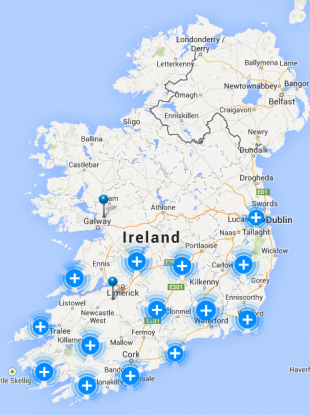 Customers can check www.esbpowercheck.ie or @ESBNetworks for updates on when power is expected to be restored. Details for the worst areas affected can be found here. Email “ESB crews working to restore power to 75,000 homes this morning”. Feedback on “ESB crews working to restore power to 75,000 homes this morning”.